Bankruptcy in Chandler can happen to anyone. It seldom has to do with financial irresponsibility. It is most often due to job loss, illness, divorce, and other serious problems. You can exercise every available option. It still may not be enough. That’s when bankruptcy can be most beneficial. It’s meant to help you restart. A certified accountant can help you with areas your attorney may know little about. They can determine eligibility and discharges – When it comes to a bankruptcy in Chandler, it’s important to be absolutely sure about your tax discharge eligibility. There are a number of factors your Tax Accountant is well versed in. They can determine what you are able to discharge. This knowledge is crucial to receiving the largest tax discharge possible. 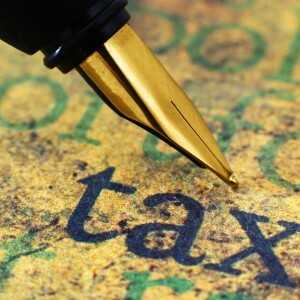 They know exactly when you should file – Many attorneys will tell you they understand bankruptcy tax law. Unfortunately, not all of them are telling the truth. An oversight can end up substantially costing you. Tax Accountants not only know whether or not you are eligible for a tax discharge. They know when to file. Sometimes a matter of months can make all the difference in a filing. An Enrolled Agent can represent you to the IRS – An Enrolled Agent has the same authority before the IRS as a CPA or Attorney. That means they can speak to the IRS on your behalf regarding any taxes you may be eligible to discharge. This professional representation can mean the difference between a clean slate, and continued repayment. They can perform an offer in compromise – Sometimes the IRS is willing to work with you on re-payment. If you have a Tax Accountant versed in offers in compromise, your odds of successfully reducing or structuring your payments dramatically increase. If you are considering, or have already begun filing for bankruptcy, don’t wait to Call or Contact LBS Tax. 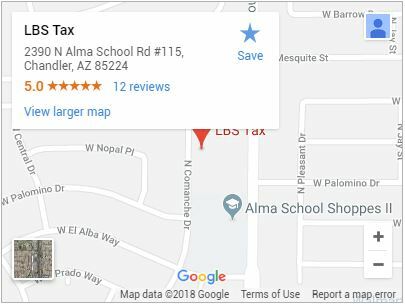 As your tax discharge expert for bankruptcy in Chandler, LBS Tax believes you deserve a fresh start, and they can help you get one. © 2019 LBS Tax. All Rights Reserved.